Great news guys! After a long, long wait, after being teased by his Instagram filled visit to NYC, where I legitimately almost got my stalker on, Kim Ji Hoon is getting back to work! And by work, I mean dramas. And by dramas i mean a drama I want to watch (considering his last work was Jang Bo Ri is here). Sign me up! Then there’s the blow though — he is not the lead. He’s not even lucky b-lead. WTF(udge) Kim Ji Hoon? Yeah, in the new upcoming drama, Man Living In Our House, he is not Man, he is girls long-term boyfriend she expects to propose. Now let’s all of you raise your hand if, as a Kdrama watcher, from experience and that short description, you can tell exactly what sort of character he will play, how it will turn out, and just how much screen time he is going to have. It begs the question, what up Kim Ji Hoon? Before heading off to the military you were solid lead material. But you come back and your b-lead or weekend drama man? What happened? Guess this show is permanently off my plate, you know, in bitter protest. How could I sit there and watch the show thinking what could have been? Then the show producers went and threw us for another loop. 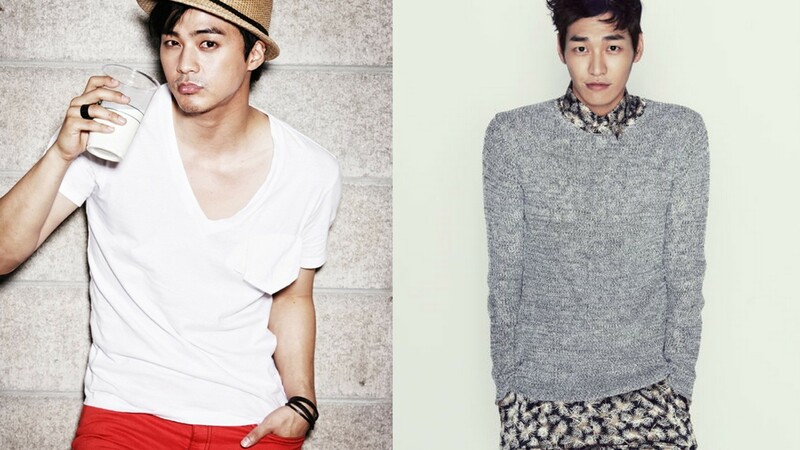 If Kim Ji Hoon is not going to be their lead, who is? Kim Young Kwan! Damn it, now I have to watch. I’ve been a not so secret fan of Kim Young Kwan since his first lead role in Plus Nine Boys, actually, even before that when he did an episode of the Kara Web drama, and my interest was cemented with his turn in D-Day. (Which I really need to get back to one of these days.) I’ve enjoyed his upward march from side character (he was great in White Christmas), to villain, and now solid cable network hero. I’m so excited (and creepily a little proud) to see him take the next step into network drama hero. It’s a big step! So, Kim Ji Hoon or not, I need to check it out. Need more lure to watch? Here’s another interesting casting. B-lead will be played by none other than Kim Young Khan’s real life BFF and co-star in White Christmas, Lee Soo Hyuk! Way to go, producers, way to go. So, wondering what your new must watch show is about? Me too. Looks like Man Living In Our House is about a flight attendant who learns there is a young man in her mother’s house, insisting he is her step-father. Ohhhh interesting. And we know just how much kdrama loves it’s falling in love with someone who may actually be your relative trope. He is a man of mystery with a not so good past, who insists on taking his spot in the small country restaurant– and the family. Lee Soo Hyuk will play the requisite chaebol lured in by Sassy Heroine. With this cast, with this team, I think the show is a shoo-in for scoring itself an audience. And, considering it’s going to be right up after the big hit Moonlight Drawn By Clouds? The win is theirs to lose. Now, Kim Ji Hoon, I’m just saying, if I start to like Kim Young Kwan more than you? Well, you have no on to blame but yourself. Love me some LSH, so I will have to check out this Drama.